Gambits is a bi-monthly electronic newsletter about the Department's recent work and significant issues in the gambling sector. It is aimed at gaming machine societies, site operators, sector organisations and the community in general, to increase understanding of and compliance with the law. Do you have feedback on Gambits? Email the editor. You can read previous issues of Gambits on our website. Download a text only version of Gambits. Good governance sets the foundation for good practice in any organisation, and is recognised by the New Zealand Institute of Directors (IOD) as essential in helping an organisation achieve its fundamental purpose. In the Class 4 sector this is particularly relevant, due to the responsibility for distributing community funds, and the subsequent level of scrutiny from members of parliament, gambling-related organisations and service providers, the media and the general public. Better governance in the Class 4 sector will increase transparency and accountability, which will improve confidence in societies, and allow for more positive public and political perceptions of the gambling industry. At the regional gambling forums in May, we mentioned we have been working with the IOD to consider governance in the Class 4 sector, and have developed a set of Good Governance Principles. The Principles describe the ideal situation in a number of specific governance areas, and will help societies identify areas for development either where there is a risk of harm or an existing issue, or an opportunity to achieve additional benefits. The Principles will shortly be released for consultation with societies, and we seek your feedback to ensure they are relevant and practical. We will include information about implementing the Principles in this consultation. Please email sector.initiatives@dia.govt.nz if you have questions about the consultation, or if you would like more information about the Principles. Grassroots Trust is an example of how improved governance practice can improve the overall outcomes of a society. In 2011, due to financial difficulties and a number of compliance issues including failure to meet the minimum rate of return to the community, the Department proposed to cancel their licence. Following negotiations with the Department and a genuine willingness from Grassroots to operate at a higher standard, the cancellation was downgraded to a suspension, allowing Grassroots to retain its licence, under the conditions that Grassroots returned a minimum of 40 per cent GMP to the community and adhered to a Limit D maximum of 14.5 per cent for payment to venues (this condition was removed in mid 2013). To achieve these conditions Grassroots has adopted an approach to governance and management that is more aligned with the Department’s draft governance principles. This has resulted in more diverse representation on the Board, which better reflects the community in which they operate, and broadening their grant funding to a wider range of sports organisations, as well as community and education organisations. Grassroots has reported significant improvements over the last two years, and in their most recent update for the year ending 31 March 2014 reported a return to community of $5,950,025 representing 42.75 per cent of gaming machine proceeds, venue payment percentage of 14.79 per cent, and administration expenses (management services) percentage of 3.8 per cent. The Department commends these results from Grassroots, and it is great to see the positive impact good governance has made to the philanthropic outcomes for the community. This demonstrates the benefits of working collaboratively with the Department to achieve shared goals. The Department’s Casino Compliance team recently completed a review of an incident involving long hours of play at the SkyCity Auckland Casino. The issue was brought to light following a report by TV3's Campbell Live in late January, in which an elderly patron (at the behest of Campbell Live) played gaming machines for approximately nine and a half hours during a stay of approximately 13 hours at the casino. Following the review, the Department has concluded that SkyCity Auckland failed to meet its obligations under its Host Responsibility Programme and associated Problem Gambler Identification Policy, as the patron was not identified or approached during the course of their visit. As a consequence we have issued SkyCity with a warning and require that SkyCity undertake a review of the efficacy of its current harm minimisation practice. This includes devising, documenting and implementing a more robust system so that patrons gambling in the casino for long hours can be more effectively and efficiently monitored. Whilst it is acknowledged that SkyCity has acted quickly in response to this incident by implementing a number of measures, we hope that SkyCity will enhance or improve its staff training and processes around the identification and management of long hours of play. The Department expects SkyCity and all other casinos to conduct harm prevention activities to the highest possible standard. Uncertainty has arisen a number of times about whether grants to certain organisations are permitted, due to confusion about whether they are considered to be for personal gain, which is not permitted by the Gambling Act 2003 (the Act). An example recently brought to our attention is Make-A-Wish New Zealand. Make-A-Wish is a charity which ‘grants wishes’ to children suffering from life-threatening medical conditions. The recipients of these wishes are often detailed in grant applications. Such grants should be considered as grants to a charitable purpose, which supports individuals to improve wellbeing, not specifically a grant to an individual for personal gain. Other such examples include Riding for the Disabled, Plunket or Red Cross. A ‘charitable purpose’ meets the requirements of an Authorised Purpose under the Act. More information about what constitutes a charitable purpose is included below, but we want to take the opportunity to mention the philanthropic objectives that should guide Class 4 grant-making decisions. Class 4 gambling in New Zealand exists solely for the purpose of raising funds for the community. Grant recipients can include a range of organisations that are charitable or otherwise deliver benefits to the community. Maintaining a philanthropic perspective when making grant decisions ensures that this is achieved. Any organisation with a charitable purpose is eligible for Class 4 grants and should be given equal consideration, within any limitations of funding strategies, for distribution of gaming proceeds. What is a ‘charitable purpose’? Charitable purpose has a special meaning in law. Charitable purpose generally means: the relief of poverty; the advancement of education; the advancement of religion; or any other matter beneficial to the community. It must also be a purpose that provides a public benefit, and is not aimed at creating private financial profit. Charity is helping people in need in the community, such as the poor, sick, disabled or elderly people. Provision of funds and/or facilities for people suffering from a disability is an authorised purpose. Society grants to recognised charitable organisations to further the objectives of these groups can be an authorised purpose. Grants to further public health, religion and education may also be charitable. donating a computer to a school. A society may have internal policies that dictate whether grants are restricted to organisations or activities within the local community. It should be noted, however, that not all purposes that benefit the community are recognised as charitable. Further information on authorised and charitable purposes can be found on the Department’s website at www.dia.govt.nz and www.charities.govt.nz. You can also search the charities register for charitable organisations. 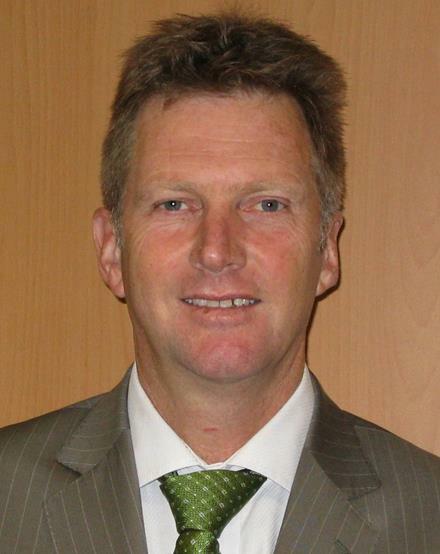 Maarten Quivooy is General Manager Regulatory Services. This is the first of a section where he will share what’s going on in his world, to give you a sense of the Department’s wider regulatory focus. “Recently I attended the annual Asia Pacific Group meeting on anti-money laundering which this year was held in Macau. The Asia Pacific Group is a regional grouping of the Financial Action Task Force (FATF) on anti-money laundering and countering the financing of terrorism (AMLCFT) – set up by the G7 group of nations. Our work as one of the three AML supervisors in New Zealand is firmly rooted in this international and regional framework, and it was great to be part of a large number of Pacific rim countries coming together to collaborate in the fight against money laundering through sharing information and expertise. The fact was not lost on me that the Asia Pacific Group meeting was held in Macau, the Chinese territory now leading the world in proceeds generated by casino gambling. Recent research undertaken by the Health Promotion Agency (HPA) to find out more about the behaviours and challenges of staff who have responsibility for minimising gambling harm in pubs and clubs has been published. Download a copy of the report from the HPA website. While the findings highlight the importance of host responsibility, it also shows how difficult it is for staff to intervene with gamblers that are showing signs of problem gambling. The report provides insights into how staff could be better supported to address harmful gambling in their pub or club. These findings will be used to help guide future campaigns and initiatives. Results from the latest national gambling harm minimisation campaign show that it resonated well with New Zealanders. A series of TV and radio advertisements aired in May/June 2014 and highlighted some early signs of risk that all gamblers should watch out for. The ads encouraged those at risk to take steps to realise when things might be getting out of control and directed them to the 0800 Gambling Helpline and to the Choice Not Chance website, which underwent a comprehensive refresh to coincide with the new campaign launch. During that period calls to the Helpline showed a significant increase and the new website received an unprecedented number of visits, where a high proportion of users completed a gambling screen quiz. Many Class 4 venues and clubs have asked if the EMS reports could be made available earlier each morning to help them with the timing of their start of day procedures. In response to these requests the Department and Intralot have changed EMS daily processing schedules and EMS reports are now available by 8am instead of 8:45am most days. Please note: Whilst we will do all we can to ensure reports continue to be posted by 8am, operational constraints may result in a later availability some days, and we ask that calls are not made to the EMS ServiceDesk about report availability until after 9am. Increased functionality available through the Integrated Gambling Platform (IGP) system means that the Electronic Monitoring System (EMS) now automatically checks the integrity of software running on all QCOM 1.6 compliant gaming machines as well as continuing to check the integrity of software running on older QCOM 1.5 gaming machines. When a gaming machine is switched on, EMS sends it a numeric 'seed' to which the gaming machine must respond by calculating and returning its own 'signature'. If the received signature is correct the gaming machine is allowed to continue its normal operation. If it isn’t, EMS flags an alarm and the gaming machine is disabled immediately. It can only be restarted after the incident is reported to the EMS Help Desk and investigated by the Department. Gambits:now articles are updates sent out in between the regular bi-monthly editions to ensure we keep you informed of news and what you need to know “as it happens". Need to get in touch with your liaison? This list is now available on our website.